NCAA To Examine Penn State's Sports Programs : The Two-Way "If true, individuals who were in a position to monitor and act upon learning of potential abuses appear to have been acting starkly contrary to the values of higher education, as well as the NCAA," association President Mark Emmert says. Former Penn State head football coach Joe Paterno in September. Saying it is deeply troubled by "tragic events" alleged to have happened at Penn State, the NCAA has told the school it is launching an examination of whether the university has "institutional control over its intercollegiate athletics program, as well as the actions, and inactions, of relevant ... personnel." Mark Emmert, NCAA president, says in a letter to Penn State President Rodney Erickson that the "allegations of sexual abuse of young boys occurring in the athletic facilities ... perpetrated by a former assistant head football coach" require such an examination. "The recount of these tragic events in the Grand Jury Report is deeply troubling," Emmert adds, "and if true, individuals who were in a position to monitor and act upon learning of potential abuses appear to have been acting starkly contrary to the values of higher education, as well as the NCAA." Those individuals could include former head football coach Joe Paterno, who was fired last week after it was revealed — according to a grand jury report — that he had been told in 2002 that former assistant coach Jerry Sandusky was seen allegedly engaged in a sexual act with a young boy in the Penn State team's showers. 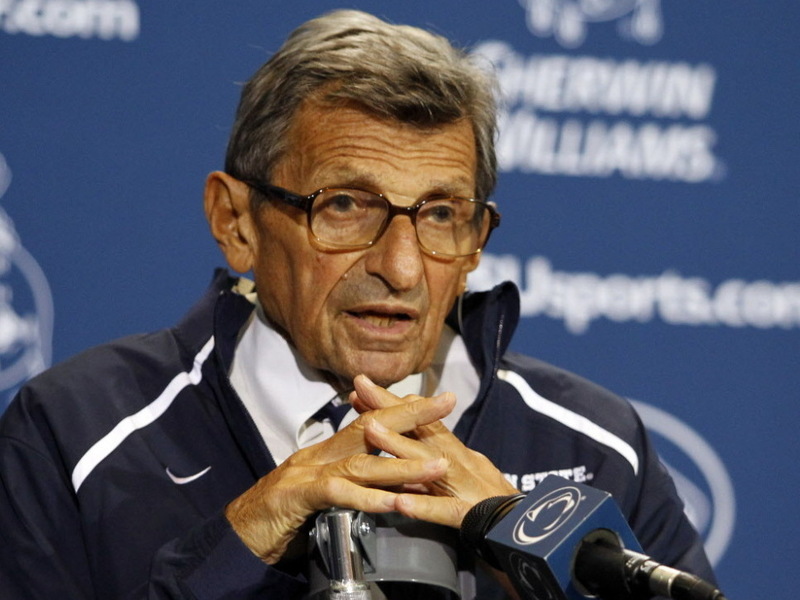 Paterno, according to the grand jury, told the school's athletic director but did not contact police. Emmert points out in his letter that NCAA bylaws state "it shall be the responsibility of an institution's head coach to promote an atmosphere for compliance within the program supervised by the coach and to monitor the activities regarding compliance of all assistant coaches and other administrators involved with the program who report directly or indirectly to the coach." If the NCAA does conclude there was a lack of "institutional control" at Penn State, the university could face stiff penalties — up to having its football program shut down for a season or two. Sandusky has been charged with 40 counts related to the alleged sexual abuse of at least eight boys over more than a decade. He says he's innocent. Others on the Penn State staff who allegedly did not take strong action include the athletic director, Tim Curley, and the school's senior vice president for finance, Gary Schultz. They've been charged with perjury and failure to report child abuse (both say they're innocent). Curley is now on administrative leave and Schultz has retired. Graham Spanier, who was Penn State president, agreed to step down last week.